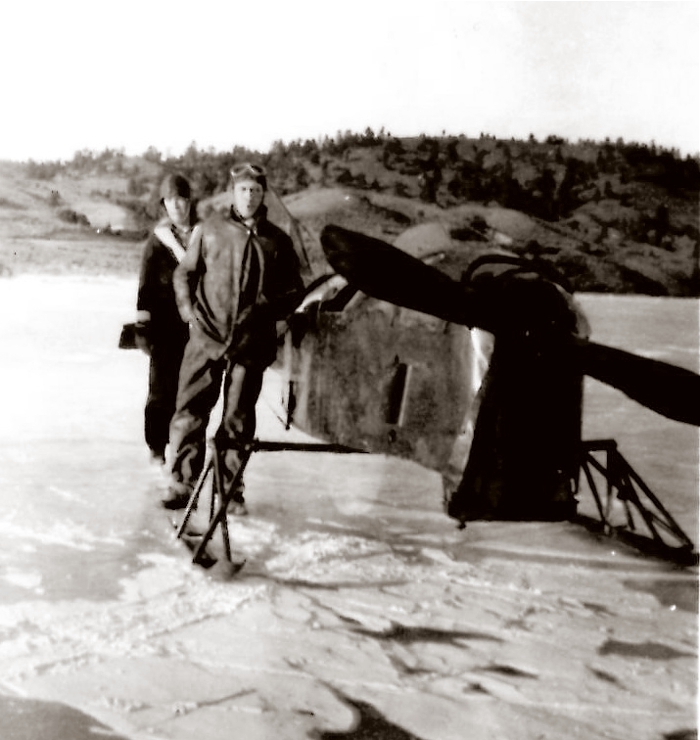 Jack D. Lay (1903-1984) and Henry L. Lay (1906-1991) were born in Carbon County, Montana. They came to Helena with their parents, Lewis and Annie, around 1920. Lewis was employed by the Northern Pacific Railway. 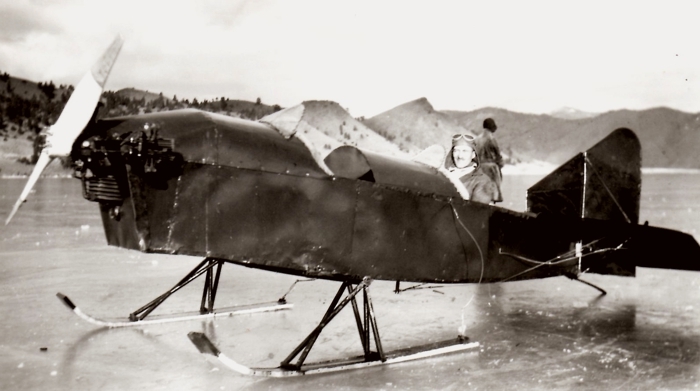 The Lay family lived in Helena's Flower Garden addition, north of the NP depot, and it was there that the brothers built their airplanes and other vehicles, including the wild-looking "ice sled" pictured below. 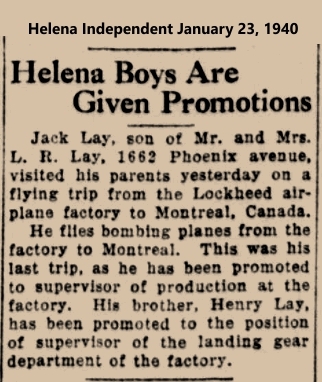 Both brothers subsequently had long careers with the Lockheed Aircraft Corporation in California. The Chatfield Drug Store was located at 6 North Main St.
Henry L. "Hank" Lay died Friday in Watsonville, California, of a heart attack. He was 84. A native of Red Lodge, Mont., Mr. Lay moved to Southern California where he lived for 25 years. Mr. Lay worked for Lockheed Corp. for 33 years in Burbank. 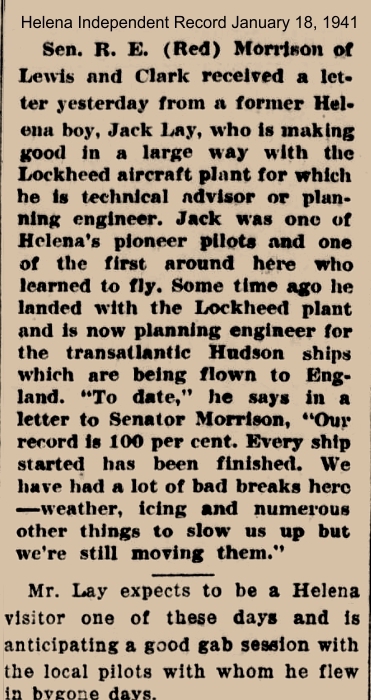 While employed there as a flight engineer, he traveled around the world. He retired as a field representative assigned to Boca Chica Naval Station in Key West, Fla. Mr. Lay then moved to Watsonville. Mr. Lay was a member of the Pajaro Masonic Lodge No. 110 F&AM, where he received the Hiram Award, the highest honor presented to a fellow Mason. 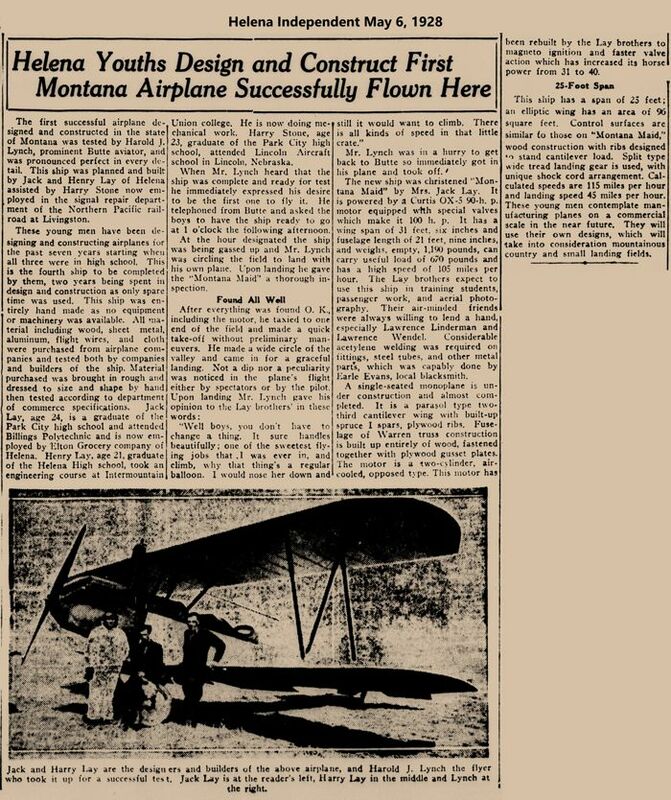 He also was a member of the Watsonville Scottish Rite, Pajaro Valley Shrine Club, Santa Cruz Shrine Club, the Experimental Aircraft Association and the Northern California Antique Airplane Association. Mr. Lay was a past president of the Pajaro Valley Shrine Club, a past commander of the Key West Power Squadron, a past Big Sir of the Sons in Retirement Society, and past patron of the Lily of the Valley Chapter of the Order of the Eastern Star. Mr. Lay was a member and deacon of the United Presbyterian Church of Watsonville. After cremation, Mr. Lay's ashes will be scatted over the Pacific Ocean by the Northern California Antique Airplane Association. The airplane will be piloted by Lonnie Autry.